David Elliott, 49, of Hanover passed away Wednesday, October 3, 2018 at Res-Care in Hanover, Indiana. 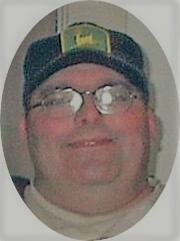 David was born Thursday, November 28, 1968 in Batesville, Indiana the son of Dale and the late Linda (Natali) Elliott. He was a member of the Dearborn Baptist Church and enjoyed collecting hats. David is survived by his father Dale, brothers: Doug Elliott of Versailles and Ryan (Jessica) Elliott of Texas; sister Angie Craigmile of Dillsboro, Aunt Linda Natali of Ohio, Uncle Mike Natali of Florida, several nieces and nephews. He was preceded in death by his mother. A memorial service to celebrate the life of David will be 12 Noon Saturday, October 27, at Dearborn Baptist Church, 9638 Hwy. 48, Aurora, 47001 with Pastor Darrell Sparks officiating. Burial will be at a later date at Rising Sun New Cemetery. Family and friends may gather to share and remember David 10 AM - 12 Noon Saturday also at the church. Memorials may be given in honor of David to the Dearborn Baptist Church. Filter-DeVries-Moore Funeral Home entrusted with arrangements, (812) 432-5480. You may go to filterdevriesmoorefuneralhome to leave an online condolence message for the family.